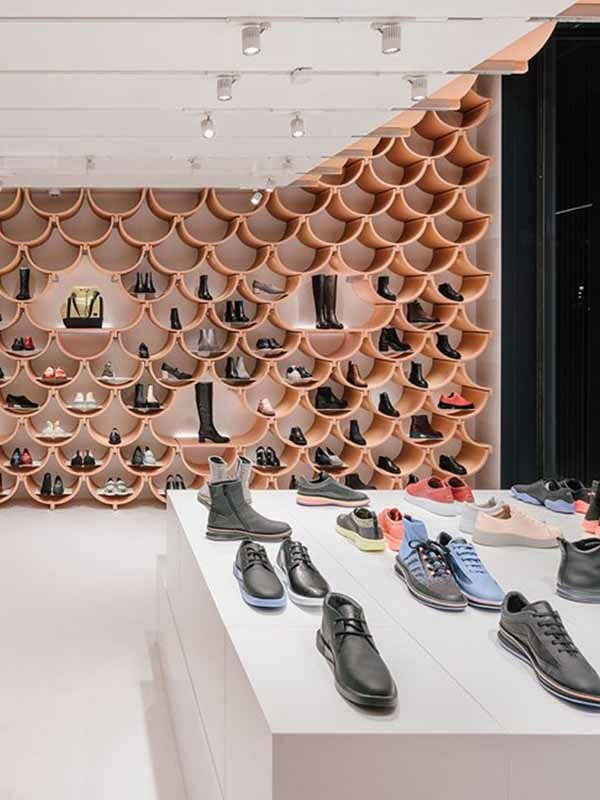 Camper’s Barcelona store has been renovated using vaulted ceramic plates. 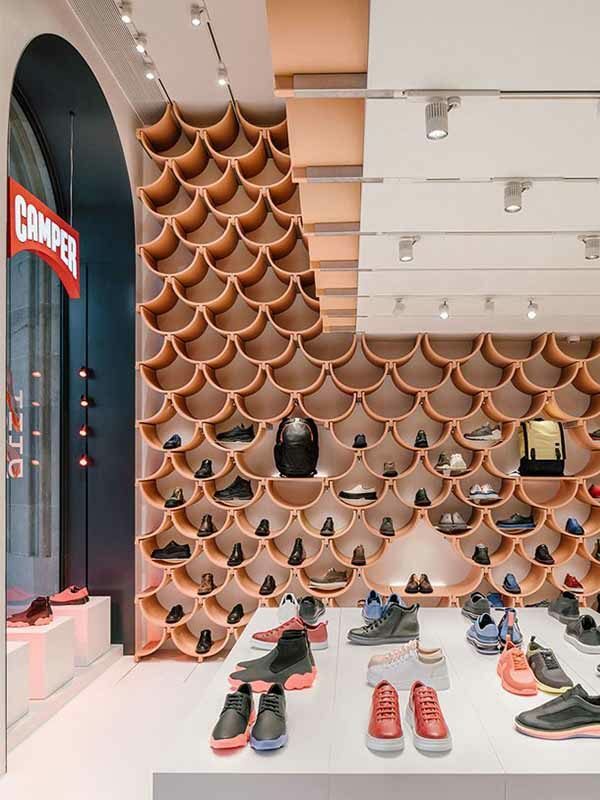 Camper the Spanish footwear brand have renovated their second retail space, this time in Barcelona and only measures 80 sq m. Facing the Plaza Catalonia, Camper Paseo de Gracia incorporates a revolutionary Catalan method of construction which uses vaulted ceramic plates as the form-work of floor slabs. 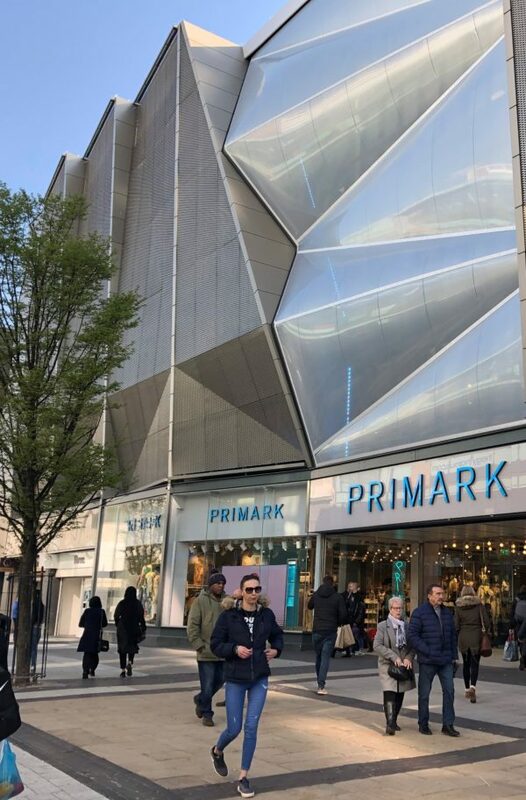 The design was based upon the ground-breaking concept of the vault, which was also a great point of reference for Catalan architect Antoni Gaudi throughout his works, as the main visual feature of the Barcelona Camper store. 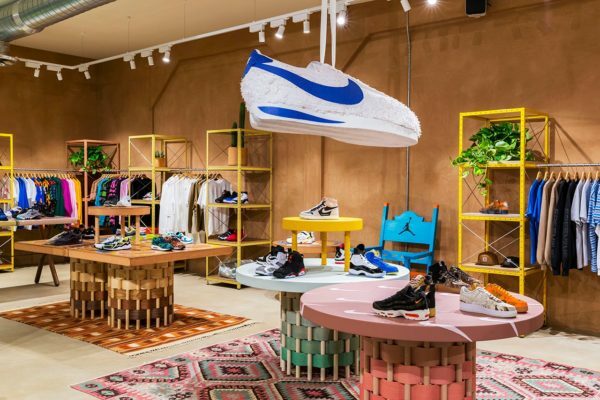 The ceramic vault has been used here as the basic unit of the furniture, from shelves, to benches, and counters for the shoes, resulting in a warm and friendly atmosphere which reflects the culture of Catalonia. 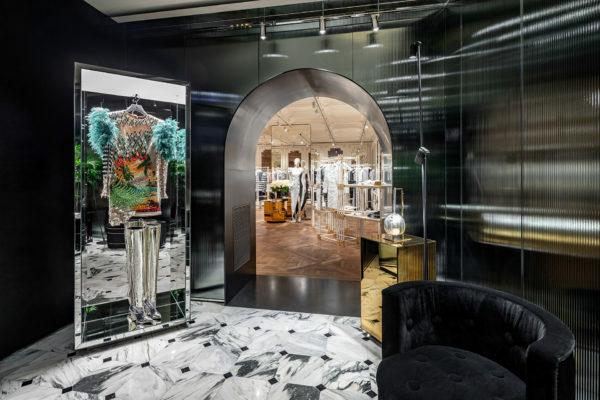 The real point about what has been done is that this is an interior in which the store design is at least as compelling as the stock that it provides a home for. 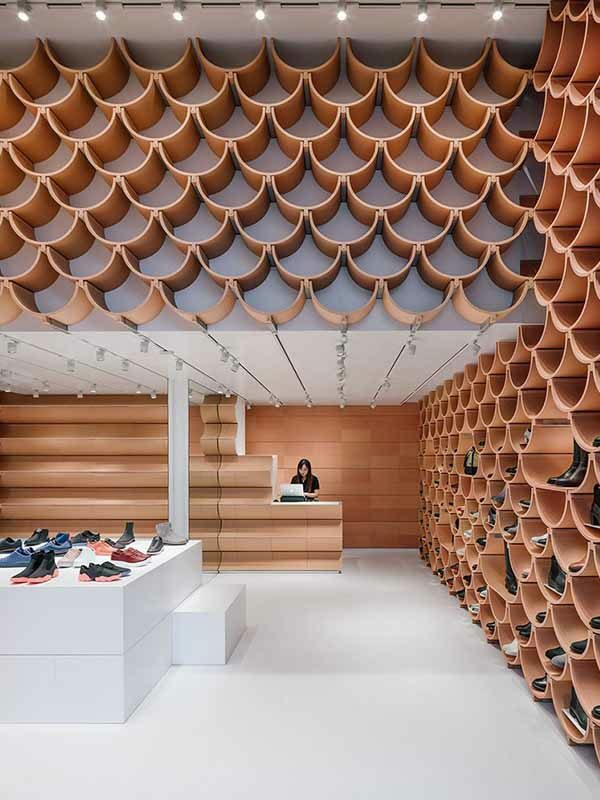 As such, Camper understands the continuing power of a finely-honed bricks and mortar outpost.